Insurance is a fickle beast, and anyone who had to file a claim on their insurance knows full well that it can be a nightmare even in the best case scenarios, but as it turns out, if you use the wrong terminology, it can become a horrific experience. Using the wrong words when speaking with an insurance adjuster can lead to heartache due to the importance and nature of some words for legal reasons and policy reasons within the industry. The following are terms that have a serious impact on what happens with the claim process and that might be something to consider. Most people realize that termites can be an extremely destructive force on the structural components of a building, but few people know that simply using the word termites can lead to a denial of your claim. 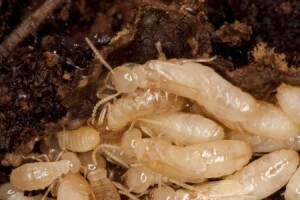 Typically with most insurance policies termites are not covered, and this can come as a huge surprise to the homeowners making a claim for damage caused by them. Termites can cause irreparable damage to structures, and current estimates place the value of loss at more than $5 billion a year in total. This means that homeowner’s likely had to eat $5 billion unexpectedly in order to get their property back in shape and termite-free. So if you have termites, you’ll likely have to deal with this expenditure on your own, but knowing that such an incident won’t be covered will make it easier for you to prepare for this situation and maintain your property so that such a catastrophe doesn’t take you by surprise. Mold as everyone knows is one of the worst things to find lurking in your home, and the insurance companies know this too. But they also realize that many people have mold situations that have resulted from prolonged neglect and flooding, and when one of these is the source of the issue, it likely won’t be covered. 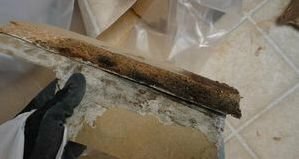 The word mold is a red flag for insurance agents, and they will undoubtedly investigate any mold claims thoroughly which can mean that they notice the source is from a flooding event, or from a leak that could have been repaired with a simple washer replacement a number of years ago and wasn’t. Avoiding mold is even easier than avoiding saying the word “mold” when talking with your insurance adjuster, because all it takes is simple maintenance and common sense. If you have a spill, make sure to clean it up completely and that it is totally dry and disinfected when you are done. This will prevent any airborne mold spores from landing on the wet area and starting their process of germination. If you notice that you have a mold problem, it may be easier and cheaper to solve it on your own rather than going through your insurance provider, paying the deductible and then the increased rates afterward. Many mold contaminations are small enough that they can be contained and eliminated by professionals for an affordable price point that won’t break your bank, or force you to have uncomfortable calls with your insurance provider. 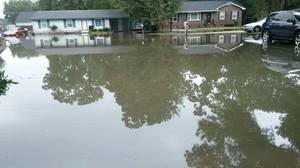 Many people do not realize that there is a huge difference between water damage and flooding, and that difference can mean getting reimbursed or not from your insurance provider. Flooding is a product of a natural event that occurs with heavy rainfall or other natural events, whereas water damage is almost always caused by unfortunate situations inside the property. While water damage from things like a pipe burst, water heater failure, or a ceiling leak are likely going to be covered by your insurance provider, instances of flooding where your structure is overtaken by the elements will likely not. This reality has damped the spirits, and reduced the bank accounts of many homeowners throughout the country after tragic events like hurricanes, levee breaks, and severe storm flooding. While it isn’t regularly advertised, most insurance companies have separate flood insurance riders for homeowner’s policies. So you can be covered for flooding if you pay for the extra fees, but don’t expect your existing policy to cover damages if the worst happens.